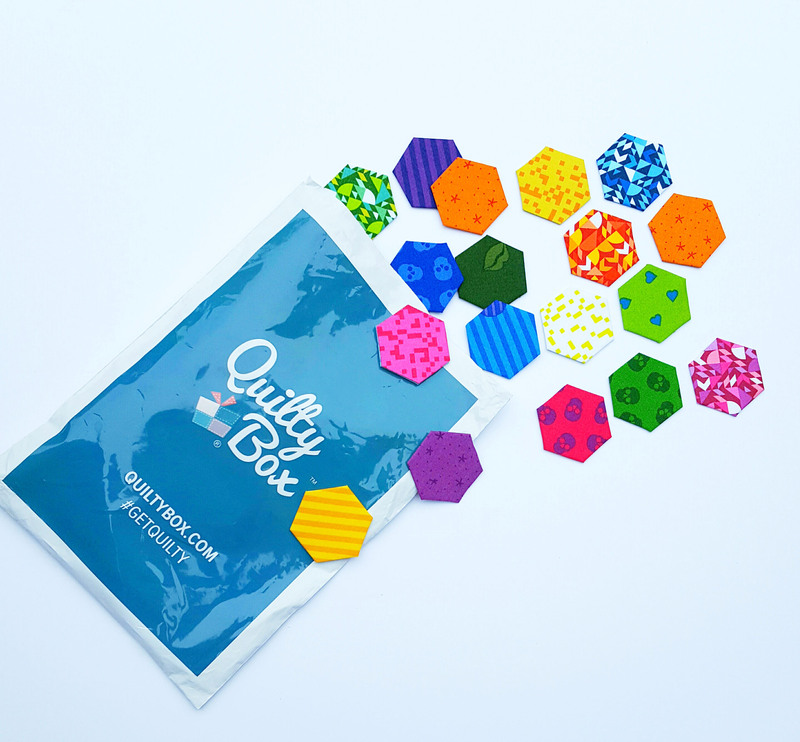 There's a Quilty Box for everyone! Next Box Ships May 11th! Quilty Box works with a featured artist to bring you amazing products, unique patterns, and great fabric each month. With our Quilty Box Classic, you will receive 2 yards of fabric, a small spool of thread, and one or two notions and tools. 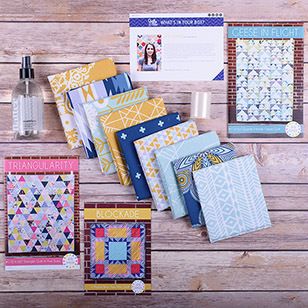 You'll also receive our Bundles of Inspiration mini-magazine complete with a showcase on the featured artist, articles and tips, and three patterns (full sized pattern from our featured artist, a mini pattern, and an English paper piecing pattern). Expand or hone your English paper piecing skills with a monthly Quilty Box English Paper Piecing subscription in partnership with PaperPieces.com. Each month receive a pack of 5"x5" fabric, thread, and templates and paper pieces for the pattern. You'll also receive our Bundles of Inspiration mini-magazine complete with a showcase on the featured artist, articles and tips, and three patterns (full sized pattern from our featured artist, a mini pattern, and an English paper piecing pattern from PaperPieces.com). Great things come in small packages! 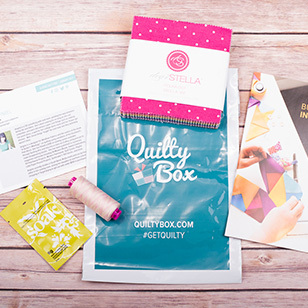 The Quilty Box Mini delivers great inspiration at a great price. Each month receive a full sized pack of 5"x5" fabric and a small spool of thread, You'll also receive our Bundles of Inspiration mini-magazine complete with a showcase on the featured artist, articles and tips, and three patterns (full sized pattern from our featured artist, a mini pattern, and an English paper piecing pattern). Free shipping in USA, additional shipping may apply outside of USA. Full subscription plan amount billed at checkout. Subscription plans, including gift plans automatically renew on the 21st of each month.